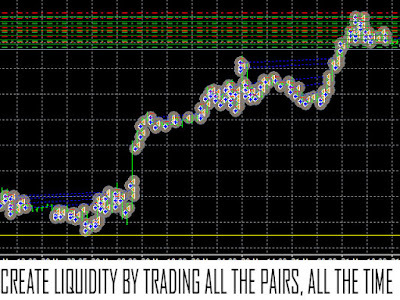 GridLevel = Ladder – This is the level, in pips, the system will place a buy or sell order. Default is set to 5. UseTrailing = Use Trailing? Yes or No. Default is No. 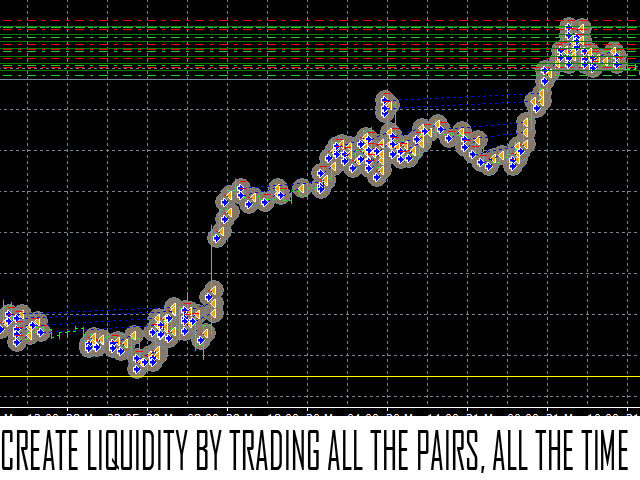 This means a trailing stop will be placed on each individual trade. TrailingStop = Trailing Stop (10) Default is 10. Only applicable if UT is set to Yes. If UT is Yes, place a TP and Trailing stop on all new orders. UseGPoint = Use G? Yes or No. Default is Yes. If No, do not utilize the below parameter, and subsequent functions. CloseAll = Close All – Default is “No” – If set to Yes, EA will close All trades for this EA only, and stop trading. One of the recurring concerns voiced by Bank of America's Michael Hartnett is that with May now in the rearview mirror, we are entering "the event risk month" of June (incidentally,over the weekend, the credit strategist presented several ideas how to trade said event risk, either bullish or bearish). Now it is UBS' turn to reiterate the warning that June may see a spike in volatility due to "an unusual number of known unknowns." According to UBS, in June there will be "an unusual number of known unknowns from several sources. June 2016 is a month in which the number of event risks is particularly high. In our baseline scenarios we do not see market upsets, but the potential is there: Japanese fiscal policy; meetings of the ECB, Fed and BoJ; new ECB policy implementation; a German Constitutional Court ruling; the UK referendum; elections in Spain; and a decision on the FTT are all thrown into the mix." Here is the full breakdown, first in table format. However, we think that more important will be the first voluntary repayment of TLTRO I to be announced at 11.00am London time / 12.00pm CET on 10 June. (The repayment itself will take place on 29 June, coinciding with the first settlement date of TLTRO I). It is likely that the bank repayment of LTRO I will be larger than the take-up of TLTRO II – and result in the first significant reduction of the ECB's balance sheet since QE began in March of last year. In turn, this might appear as an involuntary tightening of monetary policy. DAHLGREN, Va.—A warning siren bellowed through the concrete bunker of a top-secret Naval facility where U.S. military engineers prepared to demonstrate a weapon for which there is little defense. The railgun faces many technical barriers before it is battle ready. Policy makers also must weigh geopolitical questions. China and Russia see the railgun and other advances in U.S. missile defense as upending the world’s balance of power because it negates their own missile arsenals. The railgun’s prospective military advantage has made the developing technology a priority of hackers in China and Russia, officials said. Chinese hackers in particular have tried to penetrate the computer systems of the Pentagon and its defense contractors to probe railgun secrets, U.S. defense officials said. Pentagon officials declined to discuss the matter further. The Navy began working on the railgun a decade ago and has spent more than half a billion dollars. 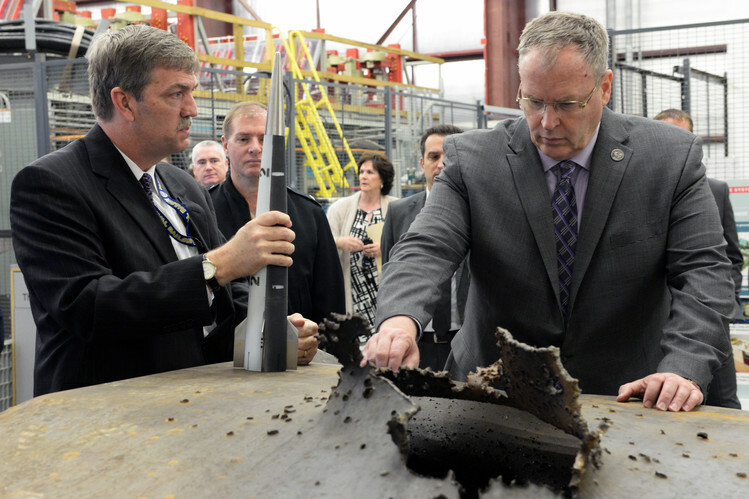 The Pentagon’s Strategic Capabilities office is investing another $800 million—the largest share for any project—to develop the weapon’s defensive ability, as well as to adapt existing guns to fire the railgun’s high-tech projectiles. A 25 megawatt power plant and large capacitor bank are required to provide enough pulse power to fire the weapon 10 times a minute. A non-explosive bullet filled with tungsten pellets; weight: approx. 25 pounds. An aluminum jacket that supports the bullet in the gun barrel; also provides a bridge for the current between the rails. Railguns have for years been limited to laboratories and videogames. Former President Ronald Reagan ’s Strategic Defense Initiative—the so-called Star Wars missile defense—at one time envisioned using the railgun to shoot down nuclear missiles. Those plans were stalled by 1980s technology. One problem was that the gun barrel and electromagnetic rails had to be replaced after a single shot. The Navy now believes it has a design that soon will be able to fire 10 times a minute through a barrel capable of lasting 1,000 rounds. Unlike the Reagan-era initiative, the Pentagon doesn’t see the railgun as a shield against intercontinental ballistic missiles but defense against shorter-range conventional missiles. Prospects for an armed conflict among the great powers still seem remote. But for the first time since the end of the Cold War, the Pentagon is again looking closely at responses to rising tensions with China and Russia. Military planners say the railgun would be useful if the U.S. had to defend the Baltic states against Russia, or support an ally against China in the South China Sea. Moscow and Beijing are investing in missile systems aimed at keeping the U.S. out of those respective regions. A railgun-based missile defense could defend naval forces or ground troops, making it easier to move U.S. reinforcements closer to the borders of Russia or China, officials said. Russian officials, meanwhile, including Alexander Grushko, Moscow’s envoy to the North Atlantic Treaty Organization, have said technological advances by the U.S., including missile defense, could undermine the strategic stability currently guaranteed by the relative balance between the Russian and U.S. nuclear arsenal. Hitting a missile with a bullet—a technical obstacle that hampered Mr. Reagan’s initiative—remains a challenge. Railgun research leans heavily on commercial advances in supercomputing to aim and on smartphone technology to steer the railgun’s projectile using the Global Positioning System. Development of the railgun guidance system is about done, officials said, but circuits in the projectile must be hardened to withstand gravitational forces strong enough to turn most miniaturized electronics to scrap. The electrical energy required to fire a railgun means it is likely to be used first as a ship-mounted weapon. Only one class of Navy ship, the Zumwalt-class destroyer, has such a power plant, officials said. The Navy is building just three of those destroyers, so the Pentagon is working to adapt the projectile to use in existing Naval guns on other vessels, as well as for Army artillery. 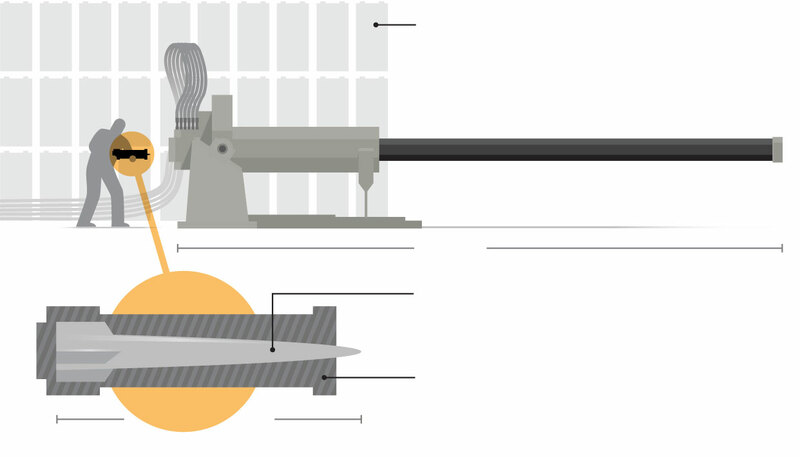 While slower than a railgun, a powder-fired railgun projectile still flies at 2,800 miles an hour, which extends the range and power of existing weapons. At Dalhgren last year, military engineers test-fired 5- and 6-inch Navy guns loaded with a version of the railgun projectile. The range of the Navy’s 6-inch guns was extended to 38 miles from 15 miles. The Pentagon also tested the railgun projectile in 155mm Army howitzers, successfully extending its range. With bitcoin now 100% higher than when we first said China would send it soaring,and 15% higher in the past two days, why do we remain in the bullish camp? Simple: China has $30trillion in deposits - which concerns about devaluations will make very "flighty" while the market cap of bitcoin is under $8 billion. If Chinese depositors have finally figured out to use bitcoin to get their funds out of the country, watch out BTC shorts. The Brexit would change the dynamic of the EU. Brexit is bad for the EU, not just the GBP. A Brexit will impact all who deal with the pound. 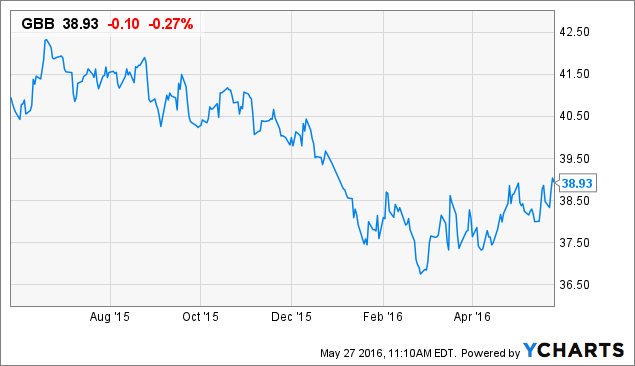 Volatility peaking June 23 is guaranteed for GBP-related assets. For Americans, a referendum is a vote whereby voters determine a political decision. America is largely a Representative Republic. Only some U.S. states, like California, have direct social democracy in which referendums determine state law. A U.K. vote to leave the European Union on June 23 would cause major currency fluctuations and dent growth in the country, according to Ramin Nakisa, global macro strategist at UBS. He estimated it would have an approximately "2 percent impact on GDP (gross domestic product) in the U.K. over the long term." However, the "biggest effect would be on FX (foreign exchange), so we're saying euro/sterling would go to parity if there was an exit," he told CNBC Friday. Or in your Forex account, watch all GBP pairs. The vote is June 23, and there is constant polling leading up to this historic vote, to gauge public sentiment. Because the vote is so close, there's tail risk to any assets connected to the GBP currency and to a lesser extent, to the EU. This will also affect the Euro (EUO, FXE). The European Union is an idea. Great Britain is one of the periphery states that joined the EU but still uses its own currency. This leads to confusion: Is Britain in the EU or not? They are. That means they enjoy the privilege of traveling and doing business inside the EU without visas or permits, taxes, and other barriers that would exist were Britain not in the EU. If they vote to leave, all that can change. It will be a net negative for the EU as well. Not only will the EU lose economically, it will send a message to other breakaway members: If Britain can leave, you can too! The EU is a fragile idea, and there exists in most European countries strong movements against the EU. Venice (Italy), Catalonia (Spain), Corsica (France), Flanders (Belgium), The Basque Region (Spain), Bavaria (Germany), Wales, Cornwall, Northern Ireland (The United Kingdom), Galicia, Aragon (Spain), Silesia (Poland), Frisia (Netherlands, Germany), Sardinia, Brittany, Occitania, Alsace, Savoy (France), and Aaland (Finland). A yes vote on Brexit could break the threads holding the EU together. Again, the EU is an idea, an economic business plan, and as such it relies on the consensual participation of its members. As explained in Splitting Pennies, Forex is a derivative, just like the EU, an idea that underpins the euro. Ideas can unravel, and if the euro idea unravels, it could lead to a return of European national currencies like the Italian lira, French franc, Spanish peseta, and so on. A country is a currency. Britain maintained their currency and stayed part of the EU. But now, if they completely leave, it will further destabilize the euro. The boards of many of Britain's largest listed companies have made no contingency plans for a possible Brexit amid polls showing rising public support for leaving the European Union. The Financial Times contacted every FTSE 100 company, and only four- Easyjet, Persimmon, GKN andStandard Life - said they were engaged in detailed planning for a Brexit. Asked what measures it was taking to prepare, Vodafone, on the other hand, said "none of note required". Europe often will surprise us, and investors would have been wrong betting against the will of the people. Investments in GBP companies can be partially hedged by trading. A vote to leave the EU could see the pound go down even further. But it's more likely Britain will stay. If Britain votes to stay, the pound could shoot back up near its highs. Investors should stay tuned to the Brexit channel, because this will be a great straddle trade opportunity, with guaranteed volatility no matter what the outcome of the vote. The Biggest Bitcoin Arbitrage Ever?